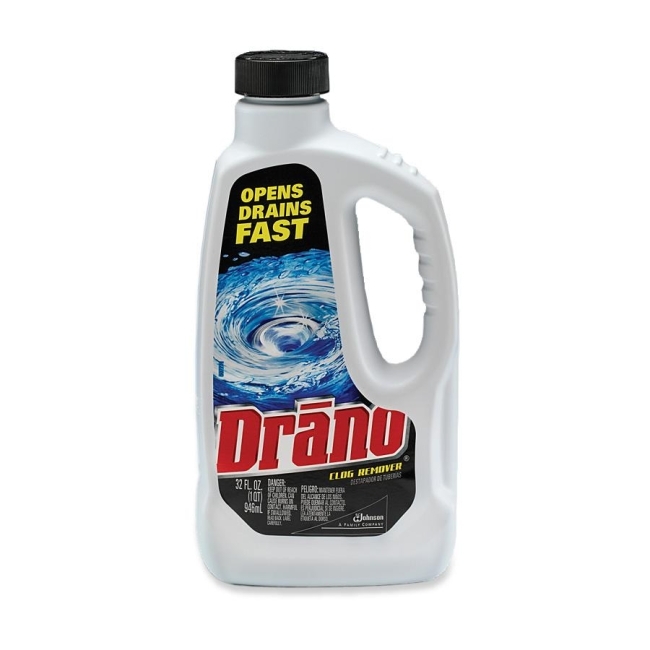 Drano Liquid Clog Remover offers a reliable, cost-saving solution to the problem of blocked drains. Simple to use and safe for all pipes in both kitchen and bathroom clogs. Clog remover starts working to break down clogs on contact. After 15 to 30 minutes, clogs are substantially minimized or dissolved. A final blast of hot water flushes away whats left of the clog. Clog remover contains a special ingredient to protect pipes from corrosion so its safe for plastic, PVC, metal pipes, garbage disposals and septic systems. Clog remover won't harm pipes when used overnight and does not contain phosphorus.